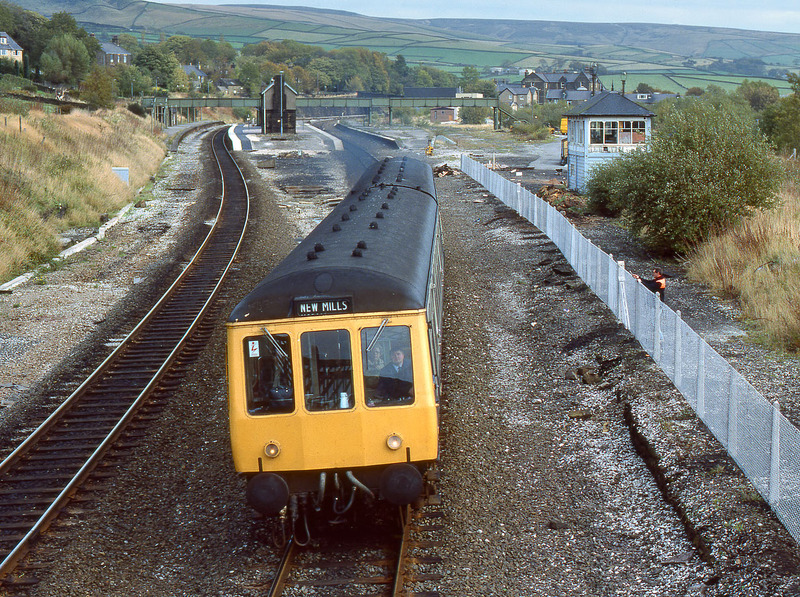 54019 & 53024 accelerate away from Chinley station on 20 October 1983 with the 12:33 Sheffield to New Mills Central service. Behind the newly erected fence (just a couple of hours old!) is the disused Chinley Station North Junction Signal Box.